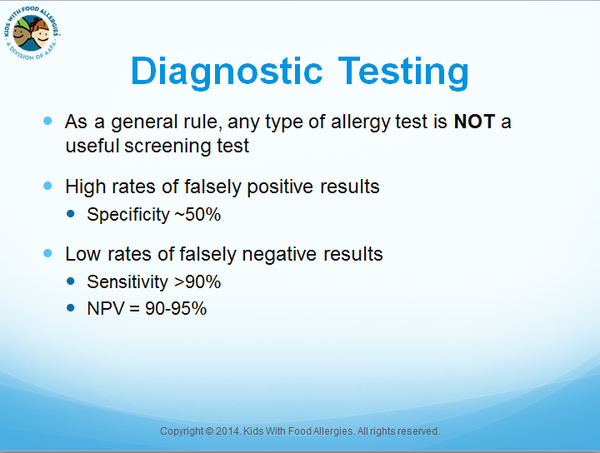 Kids With Food Allergies (KFA), a division of the Asthma and Allergy Foundation of America hosted a free educational webinar, "Diagnostic Testing for Food Allergies: What You Need to Know" on April 16, 2014. It featured pediatric allergist David Stukus, MD. This article by Dr. David Stukus reviews terminology and explains food allergy tests. This is a great written resource to accompany this video. Learn what oral food challenges are and how to prepare for them. Should Mom avoid highly allergenic foods while pregnant or breastfeeding? If and when should you try feeding these foods to the baby? These questions and more are discussed by Dr. Todd Green. The NIH guidelines provide steps for parents and medical providers on how to diagnose, manage and treat food allergies and severe allergic reactions.